Once the Triathlon season is finished, many club members enter running events, to pursue additional goals other than pure triathlons. Tony Asquith completed the Lisbon Marathon in mid October along with his son and best man. Ed Barnes had a few busy weeks in October, when, after 3 months of intensive training, he completed the Windsor Half Marathon, Oulton Park Standard Duathlon and finally the Bedford sprint Euro Qualifier Duathlon (5km run, 20km bike and 2.5km run) on the 16th October, achieving 1.02.18 in gusty winds and torrential rain. The Eastbourne Beachy Head Marathon is one of the biggest off-road marathons in the UK. Formerly known as the Seven Sisters Marathon, it is popular for its scenic and challenging route through the South Downs National Park countryside. Four members participated this year, with Jean Fish completing the course in 6 hours, Amanda Durrant in 6.02, Sam Drake in 6.37 and Simon Hodges, along with wife Josie, in just over 7 hours. Fifteen swimmers braved the chilly water early Saturday morning, with some in fancy dress, to celebrate 6 months of swim training on Saturday mornings and Tuesday evenings, deservedly followed by bacon rolls and mulled wine! 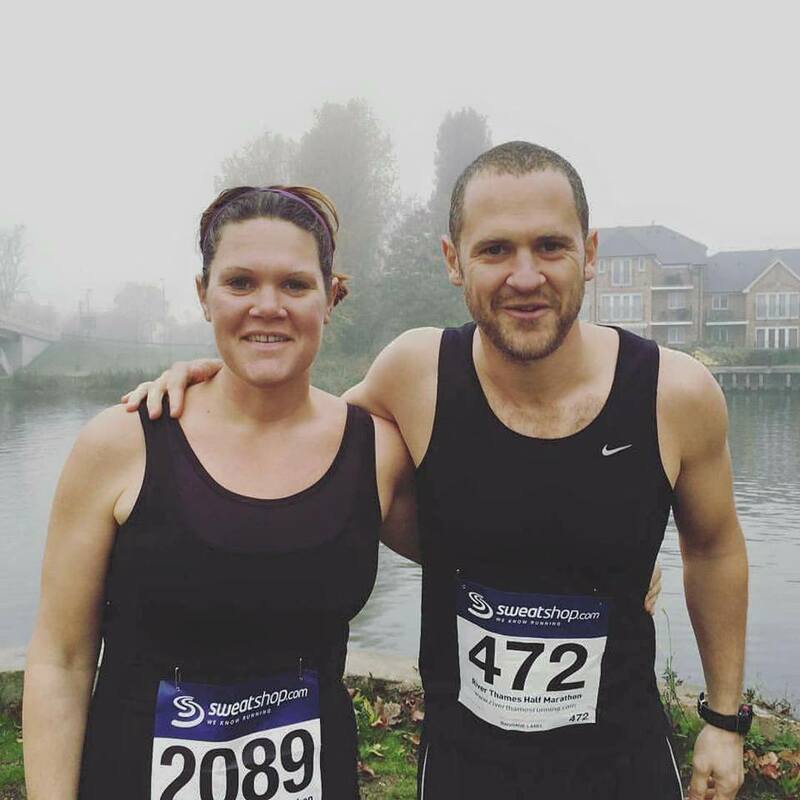 Vicky Von der Linden took on this event which is alongside the River Thames, achieving a personal best of 2.06.00. She was joined by her brother Luke Davids who achieved 1.34.29. Occasional MSTC member George Murray completed the Dublin Marathon, his first, in 3.00.59, earning automatic entries into the London Marathons of 2018 and 2019 - if he wants them!